WICK Studios offers a hip, yet cozy vibe and is a great place to impress your clients on your next photo or video shoot. Heck, your crew will love it too! Our versatile facility serves as an ideal studio for fashion, editorial, product, advertising, and celebrity photo shoots, and as a films, commercials, music videos, interviews, tv shows, and web content video productions stage. Our 2500sqft 2-story space also serves as a secure and intimate event venue for hosting your next private gathering, casting, art exhibition, product demo, seminar, workshop, casting, album release and/or live recorded music event. In addition to venue rental, we also rent out state of the art photography equipment and offer digital capturing and retouching services. We are a ONE-STOP creative studio. We take pride and pleasure in providing a friendly, professional experience and we have a true appreciation for our clients. We are open around the clock, 24/7/365 days a year, providing our clients with the maximum flexibility when it comes to booking. Our clients include both established, and "up and coming" photographers, videographers, creative agencies, producers, magazine publishers and film makers, many who work with the best BTS crews in the business. Based on your needs, we can also hire for you the industry's top photographers, videographers, assistants, digital technician, wardrobe/hair and make-up stylists, and set designers. The creative energy at WICK is great, and we hope you will help us continue to keep it flowing. Los Angeles Photo/Video Studio Rental located on the corner of Highland and Sunset in the heart of Hollywood offering full production services. More than just a space to shoot. 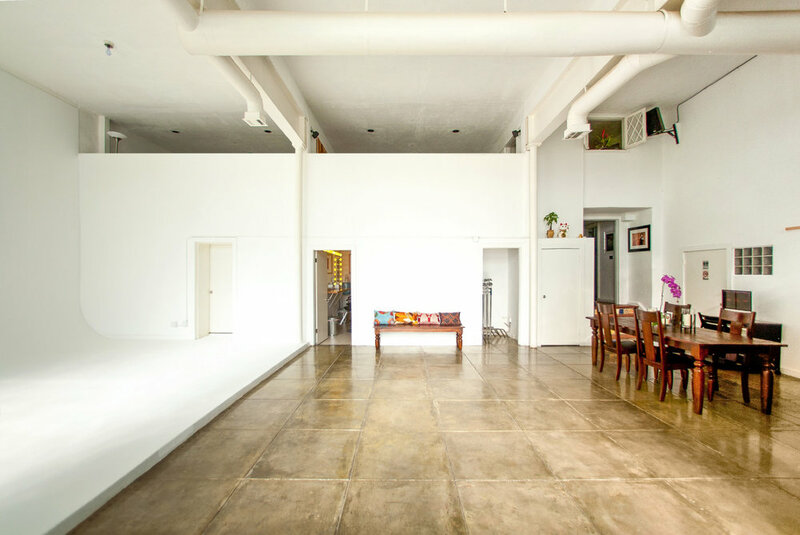 • All white industrial 2500 square feet open loft space with grey large square polished tile flooring adjacent to the cyc wall. 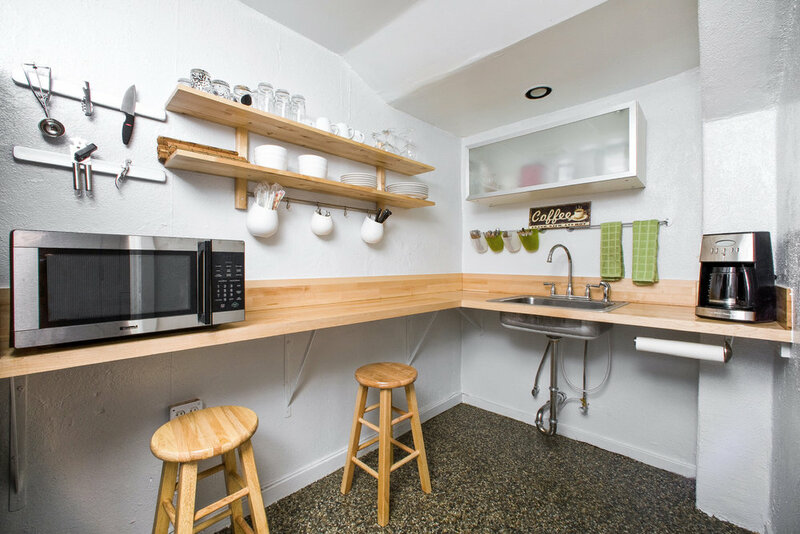 • Kitchenette w/ Keurig K575 coffee maker, Primo Water Dispenser, microwave, toaster and refrigerator. • Makeup and hair station w/ daylight balanced large vanity. The cyc is repainted before and after your shoot and the cost is inclusive in our rates. Upon request, we will serve just one client per day to allow possibility of overtime. Whether it's a-clamps, v-flats, c-stands, apple boxes, reflectors, flags, silk, backdrops, ladders, stingers, magliner, fans, folding tables, folding chairs and stools. We have it all. If there is something else you need, just ask us, and we will try our best to acquire and have it ready for you. We maintain one staff member on site to ensure your shoot runs smoothly and that you are well taken care of. Should you require first or second assistants, we have a full roster of experienced professional available for hire. If you are a tethered shooter and need digital technicians, let us know. We work with the best digital technicians in the industry. Should you need an external monitor or an iMac, we have that too. WICK Studios is fully stocked with Profoto lighting and grip equipment on site. We have enough equipment on-site for most photo shoots. We offer competitive a la carte rates, and unbeatable package rates. 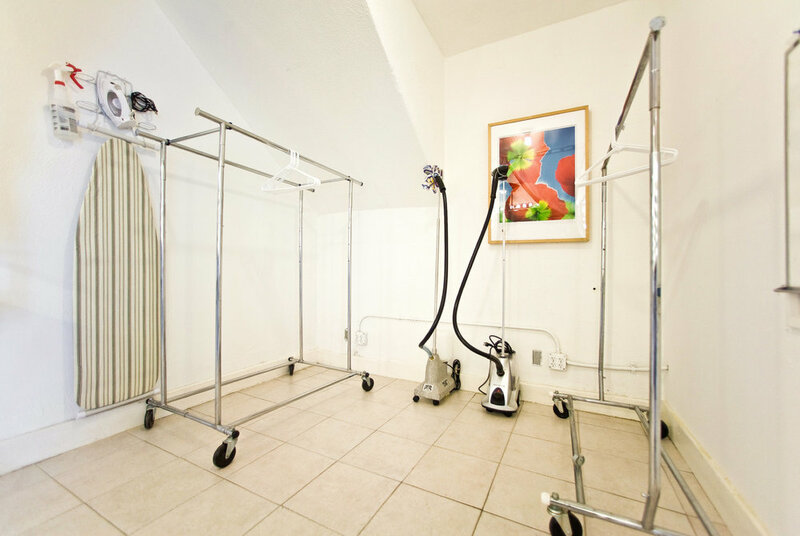 Unlike most studios, we also allow you to bring in your own equipment if you choose. If we don't have what you are looking for in house, we can procure it for you from one of our rental house partners and have it ready for you here at our studio at the beginning of your shoot. 5 - Profoto Umbrellas White Medium 41"
2 - Profoto Umbrellas White Small 34"
Rent everything above for just $500! *Above equipment are for in-studio use only. WICK offers custom packages and is one of the few professional photo studios offering a 3 hour minimum short day rate. In addition we allow photographers/filmmakers the option to rent equipment from us, bring their own gear, or both. 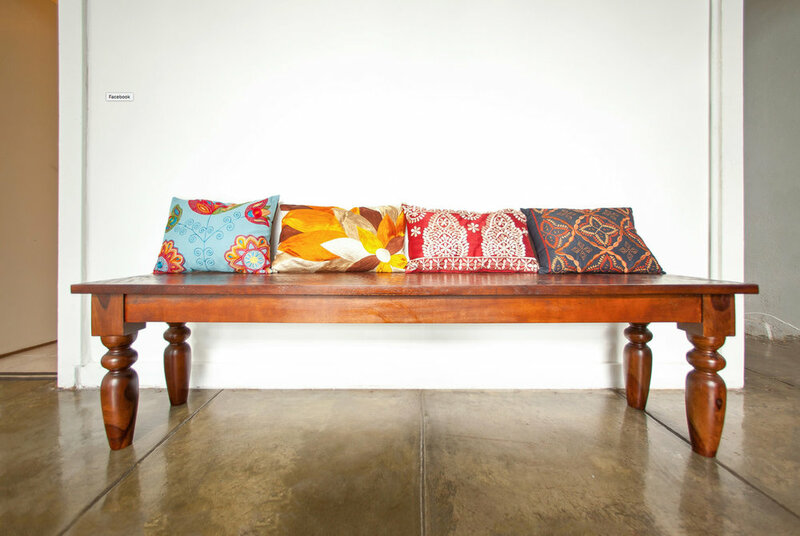 We also work with rental houses in the area for those hard to find items or for shoots that require expendables. *These rates do not include equipment rental or additional studio services. *CYC/cove repainting is done prior to every booking and included in above rates. *We do not charge extra for electricity. *We offer discounted rates to students and first-time customers. Ask us! *For special discounted rate, please mention where you saw the rate. *Above rates may vary depending on attendance. Please call or e-mail us for a precise estimate. *Please know in advance, to protect our cove from wear and tear we cover it with wall to wall black carpet. Should you require a full white cove please let us know in advance and we can discuss options. We are conveniently located in the heart of Hollywood. WICK Studios is on the corner of Highland and Sunset, just a couple blocks away from the Dolby Theater, Grauman's Chinese Theater, Hollywood Bowl, Pantages Theater, and the Hollywood Walk of Fame. For those who are traveling, there are several lodging accommodations in the area with prices that fit all budgets. In addition, we are located in close proximity to many great restaurants and cafes. There are also plenty of camera and equipment rental houses nearby. We can also work with you to arrange on-site catering, or craft services. Should you need last minute miscellaneous items, there is a Rite Aid just steps away from our building. The main entrance to the Studio is through the back door on the east side of the building right after the entrance to the Chic-fil-A drive-thru at 1441 McCadden Place. All-day parking is provided free in the secure lot for up to 3 cars. Temporary parking for quick load-in is in the front of the studio entrance on Highland Avenue. Full load-in is best accomplished through the back entrance inside the secure lot. There is also unrestricted street parking all day outside on McCadden Pl. as well as metered parking along Highland Avenue. A limited amount of close-by additional parking can be purchased for $15/spot/day if advance notice is given. Should you need valet services, we can recommend our preferred vendors. Please contact the studio manager in person or at (323) 482-1004 for access and further directions once you arrive at WICK Studios. WICK Studios' private entrance allows A-list celebrities to enter and leave in privacy. Our location is convenient for talent, actors, musicians, models, and crew members. Whether it is a cover shoot, editorial feature, e-commerce lookbook, music video, or interview, WICK Studios is the perfect place to host your next shoot. Los Angeles Photo/Video Studio Rental located on the corner in the heart of Hollywood.